This Halloween season Walt Disney World and Disneyland Resort will get a new spooky fun souvenir popcorn bucket and stein. 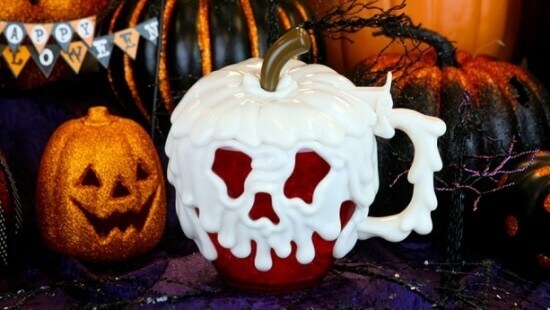 The new Poison Apple stein has already arrive at the Disneyland Resort and will soon arrive at Magic Kingdom and Disney’s Hollywood Studios at Walt Disney World. The stein is $10.99 with the choice of grapes or pineapple. 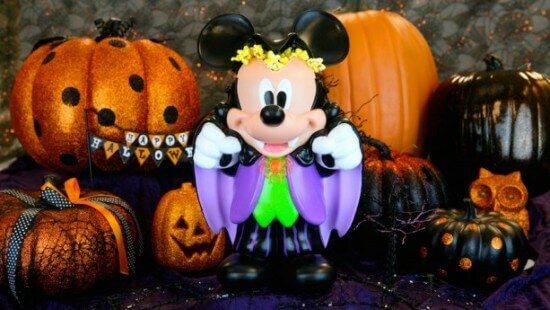 Another new Halloween addition will be this Vampire Mickey popcorn bucket that will be available throughout the Walt Disney World and Disneyland Resort from early October.